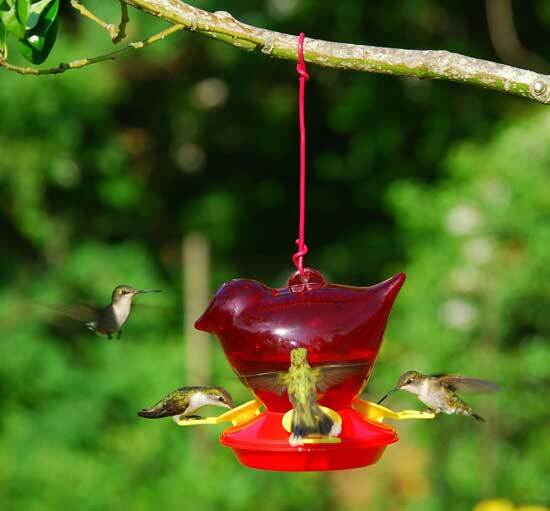 Red Bird Hummingbird Feeder. 3 Bee repellant nectar stations. Large mouth, snap apart base.